Make Direct Energy your Rhode Island electric company and trusted home services provider for electricity, plumbing, electrical, and HVAC services. The Rhode Island power company you choose for your home is your choice. So why not shop around for a great electric rate? At Direct Energy you can lock in a low, fixed electricity rate to fit your home's needs. View our fixed rate electricity plans today and stop relying on National Grid as the Rhode Island energy supplier for your home. Our Rhode Island electricity plans are designed to fit your life. Whether you're looking for a short, six month electricity plan, or one that uses renewable energy, we have the right electricity plan for you. 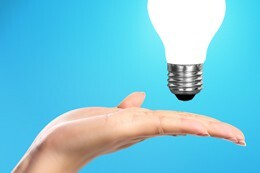 View our Rhode Island electricity plans today to find the right plan for you! With Direct Energy as your Rhode Island electricity supplier, you can expect more than just competitive electric rates. 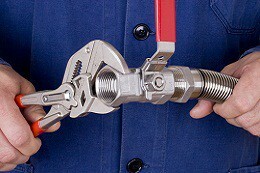 We also have a team of professional plumbers, electricians and HVAC specialists to help with all of your Rhode Island home's needs. Call Direct Energy Home Services in Rhode Island today for reliable home repairs around the clock! 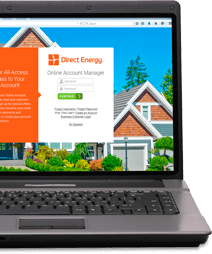 We make Rhode Island electricity and natural gas easy with our Online Account Manager. View and pay your bills and see special offers all in one place from your computer or smartphone. Thanks to deregulation, you have the power to choose your energy provider in Rhode Island. Explore all the ways you can save with Direct Energy today. Don't suffer through the heat because of an HVAC breakdown. 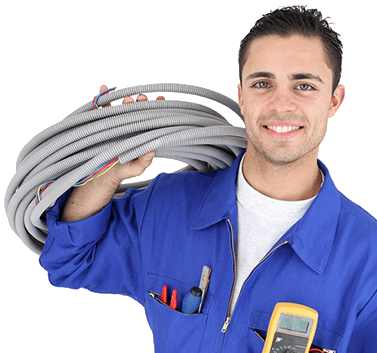 Call on Direct Energy's air conditioning experts in Rhode Island for the home services you need to keep your system in good working order. Thanks to the deregulated energy market in Rhode Island, you now have the opportunity to choose the energy supplier you want, instead of being limited to utility companies like National Grid. Find the perfect Rhode Island electric rate and plan for your family by checking out Direct Energy's offers for your home and budget! Direct Energy is a proud partner of Children's Miracle Network Hospitals, a network of 170 children's hospitals across the United States and Canada. We raise money every year to support medical research, training, and more to save children's lives every day. When you have questions and concerns about your energy account, you deserve the best customer care that meets you where you are. We're here for you on Facebook and Twitter, and you can even chat with us online! If you just want to pick up the phone, we can help you there too. Just call 1-844-852-8706. We're offering special discount electricity plans to members of the military community! You'll get an exclusive discount, a locked-in fixed rate for electricity, and more. It's our way of expressing our thanks for your service.